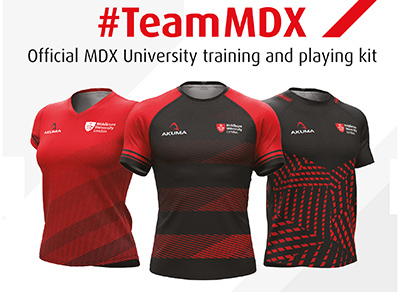 We have an exciting new range of official Middlesex University playing and training kit, supplied by leading bespoke sports kit provider Akuma. TeamMDX Kit can be purchased online and will be delivered directly to your address. For samples and sizes please visit the Fitness Pod reception or check the size guides online. Items include official TeamMDX playing kit as well as a comprehensive training range for use in the gym, at training sessions and more. Support TeamMDX and buy your official clothing here. The Fitness Pod offers a range of training and nutritional products, available to purchase from the Fitness Pod reception.